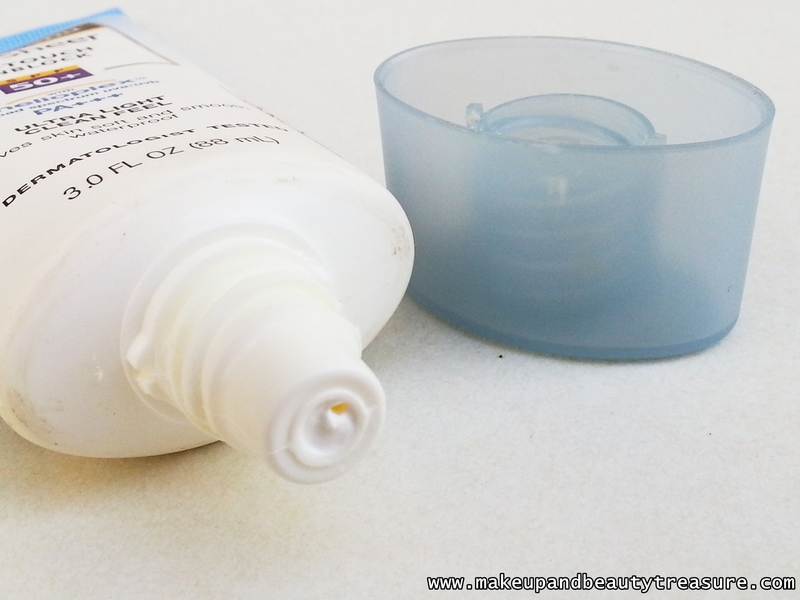 Neutrogena Ultra Sheer Dry-Touch Sun Block SPF 50+ comes in a sturdy, soft, opaque white plastic tube with a light blue screw lid. The packaging is quite light and can be easily carried around in a makeup bag. The lid is quite tight and there is no fear of leakage or spillage in the bag. The packaging looks appealing and soothing. The sun block is pearly white in color with a very mild fragrance. The texture of the sun block is soft and smooth with a creamy consistency. It applies easily and gets absorbed quickly with no greasy residue behind. I usually apply the sun block on my moisturized face and on the areas that will be exposed to the sun. 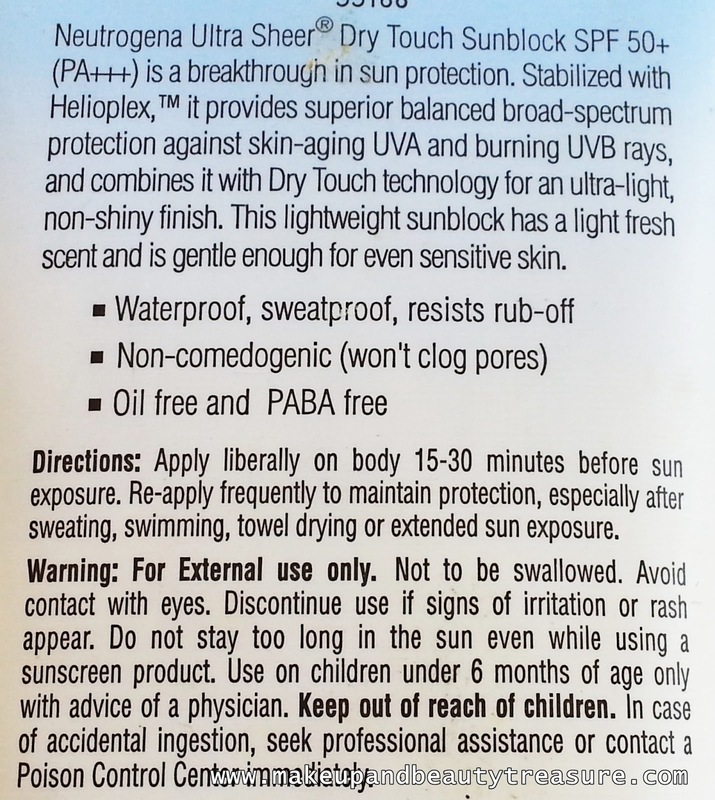 It has been recommended by the company to apply the sun block 15-30 minutes before sun exposure. The sun block makes my skin soft, smooth with a slightly mattifying finish. It is oil free, PABA free, water proof, sweat proof. It doesn't make my skin oily for a long time. Setting it up with a powder ensures longer stay of the product on oily skin. It doesn't feel heavy or give whitish cast to my face unlike other sun blocks. Since it is a non-comedogenic sun block, it doesn't cause any adverse effects to my skin. The sun block is meant to be reapplied frequently but I avoid reapplying it whenever I wear makeup. I have not faced major tanning issues whilst using this sun block. • Provides high protection with SPF 50+. • Doesn't give whitish cast to my face. • Doesn't feel heavy or greasy. • Provides a mattifying effect. • Oil free and PABA free. • Water proof, sweat proof and is non-comedogenic. • It is quite light. • Protect the skin from getting burned or tanned. 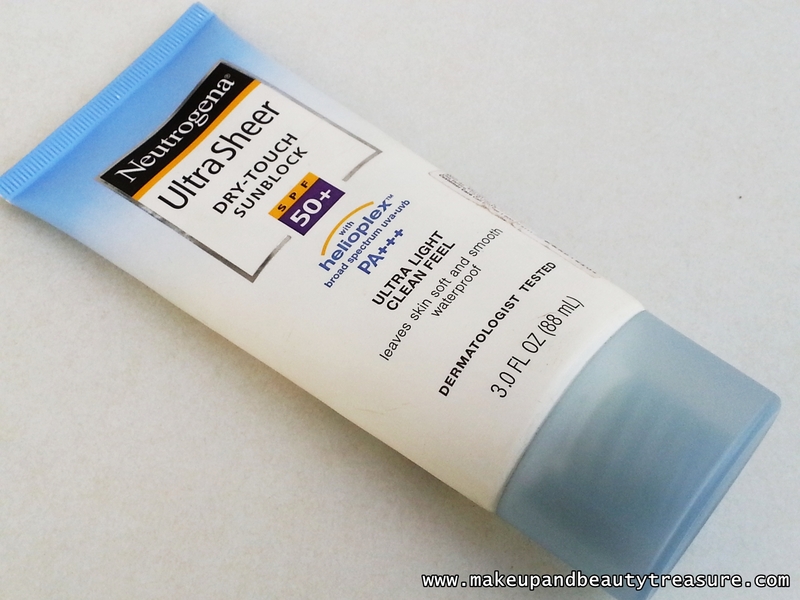 Neutrogena Ultra Sheer Dry-Touch Sun Block SPF 50+ is one of the best sun block I have ever used. It does what it claims. It protects my skin from getting burned or tanned through its high SPF content. It is oil free, PABA free, water proof and sweat proof. It doesn't make my skin oily or greasy. It doesn't give whitish cast to my skin. It really worked well on my oily, acne prone skin without breaking it out. I shall highly recommend it to everyone. Have you tried Neutrogena Ultra Sheer Dry-Touch Sun Block SPF 50+? How was your experience? Share in the comments section below. Thanx Teji :) Do try it out. 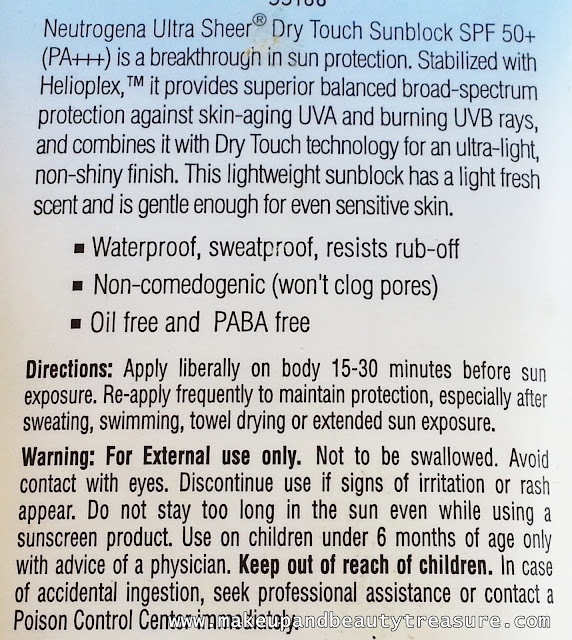 Its one of the best sun block i have ever tried. Yes it is good for everyone and anyone can use it! Ya its quite expensive. Yup Neutrogena is a fab brand. Do try it out. Worth every penny. Yeah network was down last week so couldnt update the blog! Yup its expensive but since ur skin gets tanned easily try it out once. Wow spray version! I need to go n look for it. Oh my it didnt suit u:( i find it quite effective. Completely agree with u, its a great sunscreen. After trying zillions of sunscreens (and even the most exorbitant ones costing almost 5-6k for a small tube) Neutrogena is the one tht has so far been working on my skin. Most of the cause breakouts. Thanx Razz! hey i think u have already awarded me with a Liebster award! Anyways thanx so much dear! It means a lot to me! I can't afford to wear sunblock daily on my face. My skin's really sensitive. Hey this is dermatologist tested n non comedogenic. U can use it daily on ur face! I have used it previously on my face but I ended up having little bumps on my face..
Ohhhh God even i have sensitive but urs seems super sensitive!!! Ya its quite expensive. Will try Lotus next! Nice review megha :) product is promising hope it suits me!! It's a great time to get the perfect sunscreen! I have hawaiian tropic because I love the smell. Yeah I love this sun block! My dermatologist suggested me this sunscreen. I have been using it fr few months nw..it's really great for my oily skin...The only thing I wanted to know is how often are u supposed to re apply this cream...three or two hours? After three hours is okay! control the sweat or wat..
By sweatproof it means it will not cause any heaviness or greasiness on your skin! It will also not cause sweating that other sunscreens do when you are under the sun! 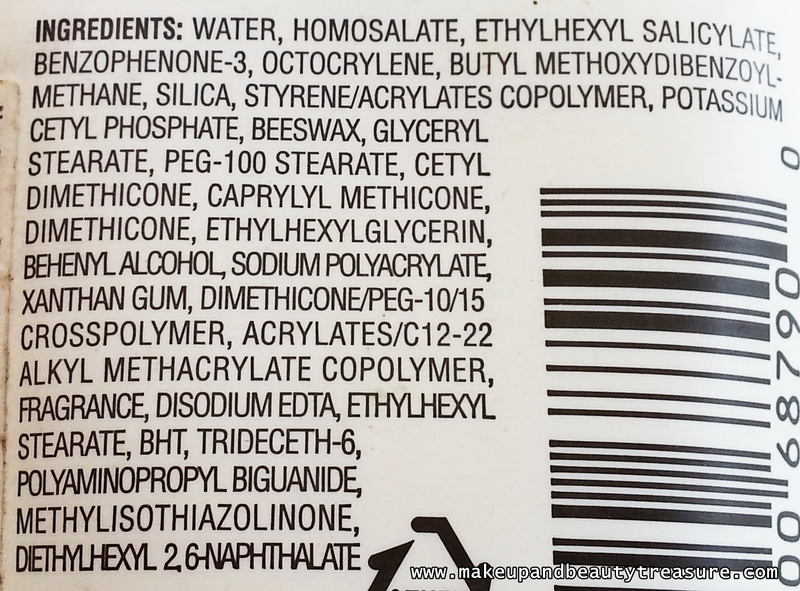 i wanted to know is it paraben free? It is PABA free not paraben free! if i didn't apply this frequently after 3-4 hours,is there any problem because of that? If you not directly under the sun then its okay not to apply frequently!